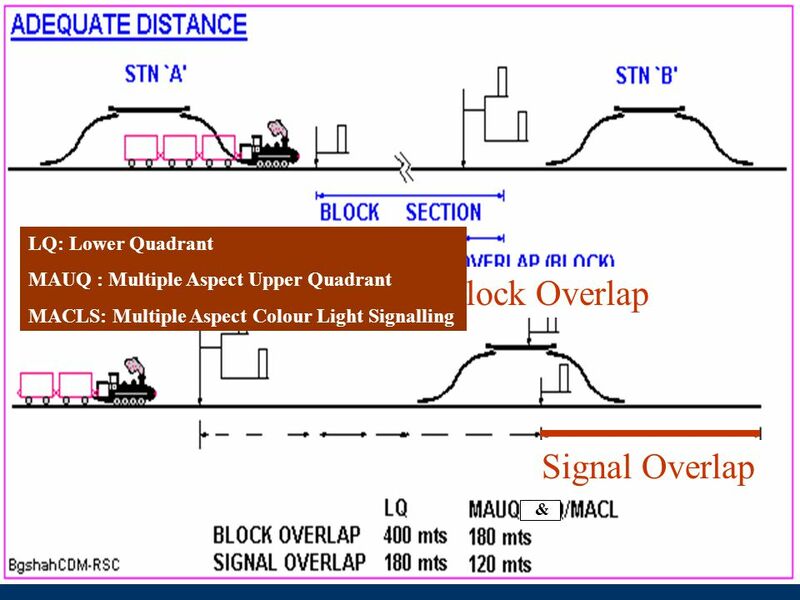 Concept of Overlap and Isolation :- Every stop signal by its indication to the driver controls the movement of train upto the next stop signal as the next stop signal will control the movement beyond it. 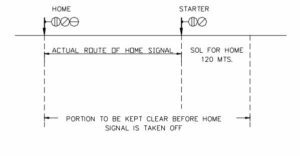 Hence the track between the stop signal and the next has to be clear and the points have to be correctly set and locked before a movement is permitted by it. However due to any unforeseen reasons like with sudden brake inadequacy the driver may not be able to stop at the next stop signal. 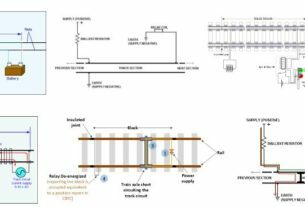 So an extra safety margin of the track beyond the next stop signal is also to be kept free so that if the train overshoots the next signal, he will be able to bring the train to stop within that margin. This safety margin is called “overlap”. 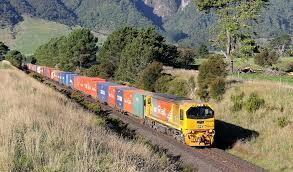 Similarly we have to ensure that when a train moves on the track the other rail vehicles from the adjoining track should not roll down and infringe with the movement. To prevent this “isolation” between adjoining lines is required. Block over lap : It is the extra length of track in advance of the FSS (First Stop Signal) of a station, which must be kept clear, before Line clear can be given to the station in rear. BOL in MACLS sections shall not be less than 180 Mts. Signal over lap : The length of track in advance of a stop signal of station, which must be kept clear, before the signal next in rear could be taken „OFF‟. SOL in MACLS sections shall not be less than 120 Mts. 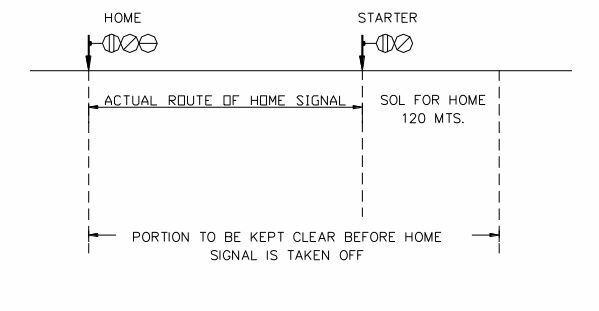 Incase of Automatic signals the adequate distance is 120 Mts. minimum.